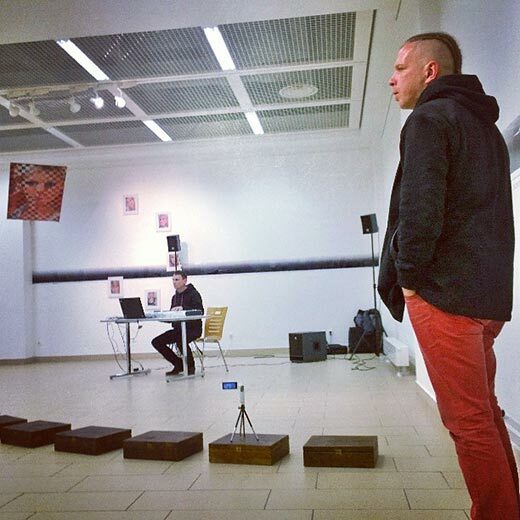 Live recording of the performance at the Titanic gallery, Vilnius, 12 February 2015, at the exhibition “12 photography theses” by Gytis Skudžinskas (Gys) where Gintas K replayed/reinterpreted sounds from the exhibition. This entry was posted in Podcast and tagged Gintas K, Gys. Bookmark the permalink. Comments are closed, but you can leave a trackback: Trackback URL.